The Body-Solid Accessory Package VDRA30 Rack is perfect for storing and organizing multiple accessory bars, ropes, straps and even dumbbells. It's a perfect addition to any Home Gym. The VDRA30 can hold up to 36 items in a very efficient and compact space. 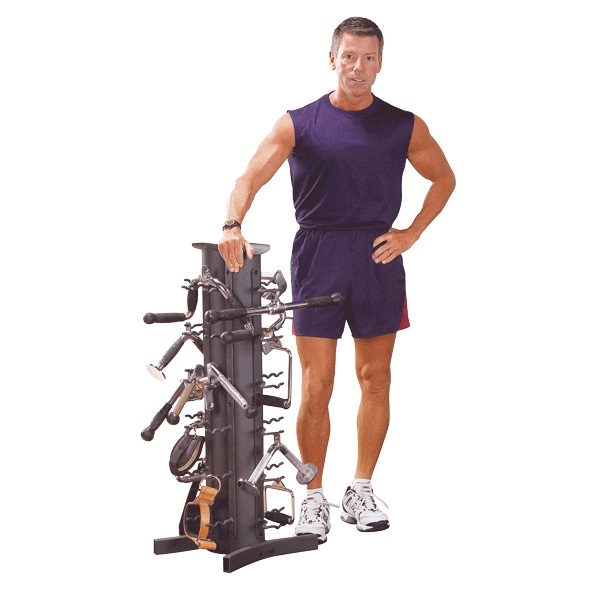 36"H x 14"w x 14"L.
Call 1-800-875-9145 to order your Body-Solid Accessory Package VDRA30 Rack or order your Body-Solid Accessory Package VDRA30 Rack from FitnessZone.com today! Order your Body-Solid Accessory Package VDRA30-PACK from FitnessZone.com today!